except, If adapted from Rudyard Kipling's If by permission from The Kipling Estate. © 2007 Crazy Crow Music (ASCAP), All rights administered by Sony/ATV Music Publishing, 8 Music Square West, Nashville, TN 37203. The songs and lyrics in this album have a melancholic theme which is entirely justified. 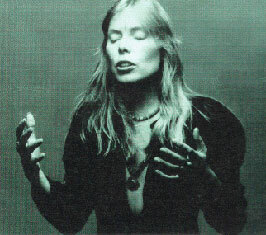 Joni is a great artist and the premier diva of a generation. If this proves to be her last album it's a fine finale.